When HUD threatens communities with lawsuits and civil rights reviews, don’t expect political affiliations to help. Don’t expect discrimination to erode either. HUD has a different end in mind. Through their Affirmatively Furthering Fair Housing rule, the agency uses threats of lawsuits and the withholding of grant funds to control local zoning and land use. In Rockford, IL, the agency even forced the town council to reverse the voters’ decision not to move forward with an affordable housing project. Most of the AFFH’s heavy-handed tactics target cities and counties receiving HUD grants. Targeting cities means targeting Democrats. According to a 2014 study by Chris Warshaw of MIT and Chris Tausanovitch of UCLA, of the 67 Americans cities with over 250,000 in population, just 12 leaned conservative. A deep analysis of the 2012 election results by Princeton University mathematician Robert J. Vanderbei, revealed that during that cycle, nearly every U.S. city (meaning a population of over 100,000), voted Democratic. When powerful federal agencies, even in a Democratic administration, concentrate their force on counties and cities, Democrats as well as Republicans lose their property rights and their political voice. Ignoring that rule cost the community members of Democratic Westchester County, NY millions of dollars and the loss of control over their own property. It all began with a third party lawsuit. Attorney and civil rights activist Craig Gurian became wealthy suing local governments and non-profit groups for “discriminatory” practices. In 2006, he sued Westchester County for making false statements on a HUD grant application. Andrew Spano was the county executive in the wealthy community where Democrats outnumber Republicans two to one. Facing a massive lawsuit that could exceed $150 million, Spano asked HUD to intervene in a court settlement. After all, he reasoned, the HUD Secretary is a Democrat, and his boss President Obama is a Democrat, which makes us all on the same team. Unfortunately, for Democrat Spano, the federal government is on its own team. Trusting HUD to intervene was the biggest mistake of his political career. He was voted out of office in the next election. Rather than work with the county, HUD worked with the court to increase the penalties and obligations beyond the official court settlement. Seven years after signing the agreement, HUD continues to dog every planning move of the current executive, Rob Astorino who replaced Spano in 2009. Westchester is not the only targeted liberal community. Marin County, California another upscale community has 50% more registered Democratic than Republican voters, and suffered the same fate. After receiving a HUD compliance review for possible discrimination, community members were shocked. Ultimately, the County signed a Voluntary Compliance Agreement, citing many of the same restrictions on zoning and land use as Westchester. The book, Agency Tyranny shows that HUD used Westchester as a model for Marin and other entitlement communities. While the signing of the agreement may have been cordial, it was anything but voluntary. 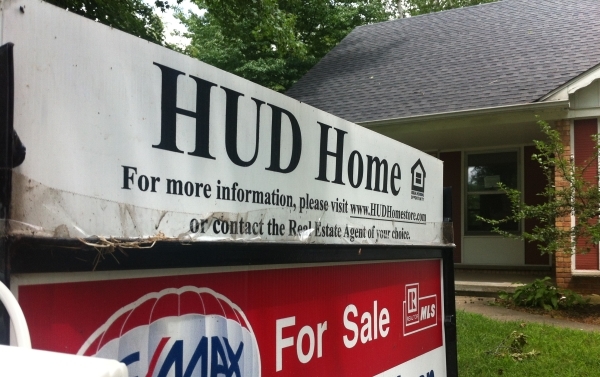 Failure to agree would have resulted in withdrawal of HUD funds or lawsuits. The fact that the federal agencies will target their own party members is no assurance they are helping African Americans, the poor or middle-income families. One HUD-required affordable housing project in North Salem, NY faced problems because HUD families refused to leave the Bronx where they had family and friends. They disliked HUD’s new formula for their lives. Rather than respect the wishes of the people they claim to help, and find housing where the families want to live, the agency is now threatening to reduce their current voucher payments, forcing HUD residents to move to the areas the agency designates. Under the claim of eliminating discrimination, HUD’s Small Area Fair Market rents program allows the government to decide in what zip codes low-income families must live. Increasingly federal agencies are helping themselves to greater influence and frightening amounts of power over where and how members of local communities live. HUD, DOT and ED are collaborating to install unproven or poorly studied grand schemes that upend lives and alter the local social landscape. While couched in terms of “upward mobility” for the poor, HUD’s Affirmatively Furthering Fair Housing rule does little to improve prosperity. It does control where and how people will live and vote. AFFH drives communities to create regions infilled with dense urban areas and hi-density transit oriented development. Historically, this densification creates the voting blocks that keep the Democratic elite in power. Residents in conservative towns like Crossville, TN are already complaining because the influx of low-income families relocated from nearby Chattanooga threatens to change the demographic of their town from Republican to Democrat. As long as Democrats agree with the causes behind HUD’s maneuvers, there is little to contest. Moving a community’s voter base from R to D probably sounds like a good idea to the D’s and why should socially conscious Democrats care if HUD uses legal means to coerce poor families to move into neighborhoods where the agency thinks they have a chance for a better future? Whether voters agree or disagree with the policies, the effects of HUD’s practices are to diminish local authority and prevent owners from exercising the full use of their property. The problem becomes apparent when community members realize the government’s grand schemes generally fail and want to reverse course. HUD’s programs shuffle the poor around like pawns on a chessboard, and often relocate families far from their friends and roots. Worse, the new voucher programs insure the likelihood that the poor will rarely own property, the one key to building personal wealth. The government often places caps on the amount of money benefit recipients can make when selling their homes. Other statistics suggest that crime follows voucher recipients into their new neighborhoods worsening life quality for all involved. Portland, Oregon is one example of government planning gone wrong. After a decade of installing government promoted “livability” and Smart Growth,” programs also designed to provide equal opportunities for low-income families, the 2010 Census showed the horrible truth. The plan made it harder for the poor to survive in the city and they left in droves. Unfortunately, with these new government programs there is no ‘delete’ button to hit once federal grant money is spent, no “undo’ button to reverse the damage to poor families, and no “reset” to win back your community’s lost authority, voter’s choices or property rights. By the time community members realize the damage, the elites they supported will hold even more power. Eventually, the loss of community autonomy and personal property rights will be staggering for all. Perhaps the best strategy is to set aside political differences and work together to keep community planning local. After all, the government uses Democrats and Republicans to gain elite power for a few and will continue to use them to maintain it.